These handy little bottles have been available for a while now but with winter looming large on the horizon, it is definitely time to think about grabbing one or more and pepping up your hookbaits of choice, ahead of the colder weather. They have been designed to match the attractor package found in Mainline’s Hi-Visual pop-up range to perfection. 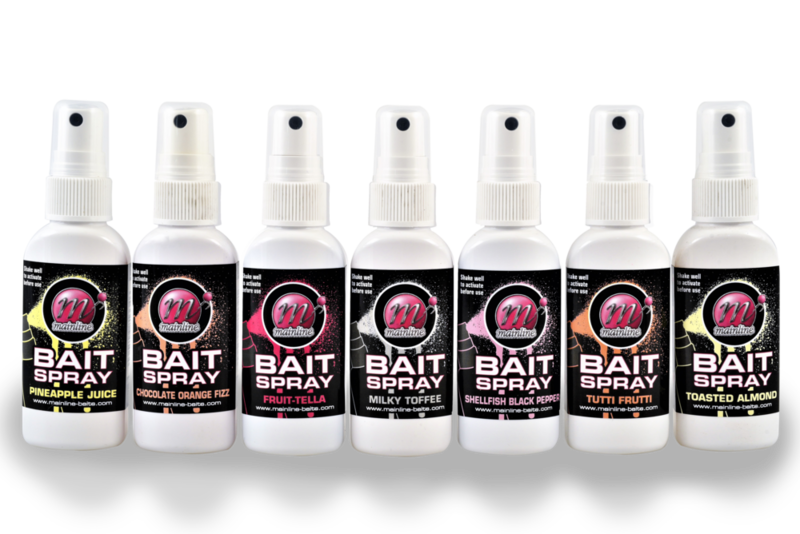 Developed specifically to provide an instant boost of attraction to any hookbait, utilising the same proven list of flavour blends, sweeteners and liquid attractors. They are available in a choice of seven flavours, meaning there is something for everyone. Options are Pineapple Juice, Toasted Almond, Milky Toffee, Fruit-Tella, Chocolate Orange Fizz, Shellfish Black Pepper and Tutti Frutti.